palm oil – Whether the brand says it’s ‘sustainable’ or not, there are too many problems with palm oil for me at the moment. I don’t completely rule out using a product that contains it in small quantities, but I do try and politely ask the brand questions before I post about it re: their source and if they plan to replace it with an alternative. I know I’m in a fortunate position to be able to do that, but for you – if you haven’t already, you may want to look into it, do your own research, make your own thoughts. alcohol – this is not cut and dry, if alcohol is the main ingredient or in the top three, I look carefully at the other ingredients. I’m talking straight alcohol, not all of the variants. An example would be Clinique Clarifying Lotion 4: Water, Alcohol Denat., Salicylic Acid, Hamamelis Virginiana (Witch Hazel), Butylene Glycol, Glycerin, Trehelose, Sodium Hyaluronate, Sodium Hydroxide, Disodium EDTA-Copper, BHT, Phenoxyethanol, Benzophenone-4, Green 5 – some nice ingredients, but too much alcohol. phenoxyethanol – this I use as a guide for %s. Phenoxyethanol, along with parabens, is not allowed to be in formulas at an amount higher than 1%. So you know that anything listed after either of those, is less than 1%. 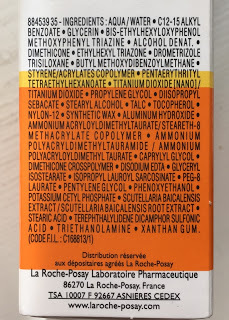 So….. if a brand is harping on and on about their massively ‘active’ ingredients (see previous post), and they all come after phenoxyethanol or parabens, they may not be that ‘active’. There will always be exceptions, such as retinols, which are frequently at a strength of 0.3 or 0.5% – but in general, peptides, vitamins and the majority of other actives, you would mostly want them higher than 1%. Mostly. Not always – like I said, it’s not an exact science. Fragrance – personally, I’m ok with fragrance in general but I know some of you are not, so in your case, keep an eye on how high it is in the inci list, and bear in mind that fragrance can contain hundreds of ingredients – and all be listed as ‘fragrance’. If essential oils are your concern, they will be listed individually and easy to spot.